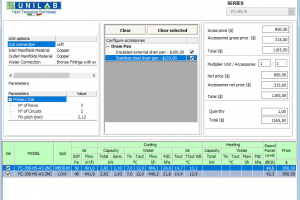 The Best Software for the selection and estimation of Fancoils! 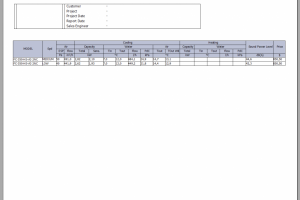 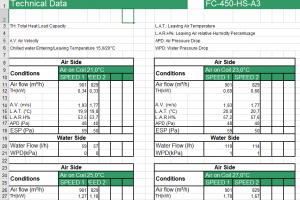 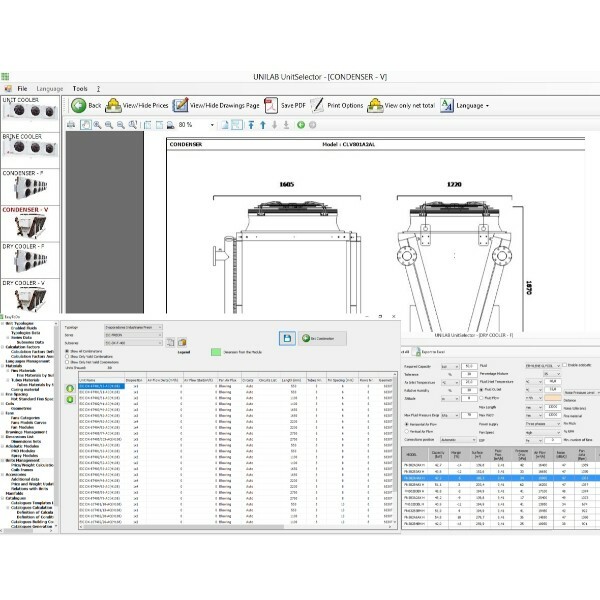 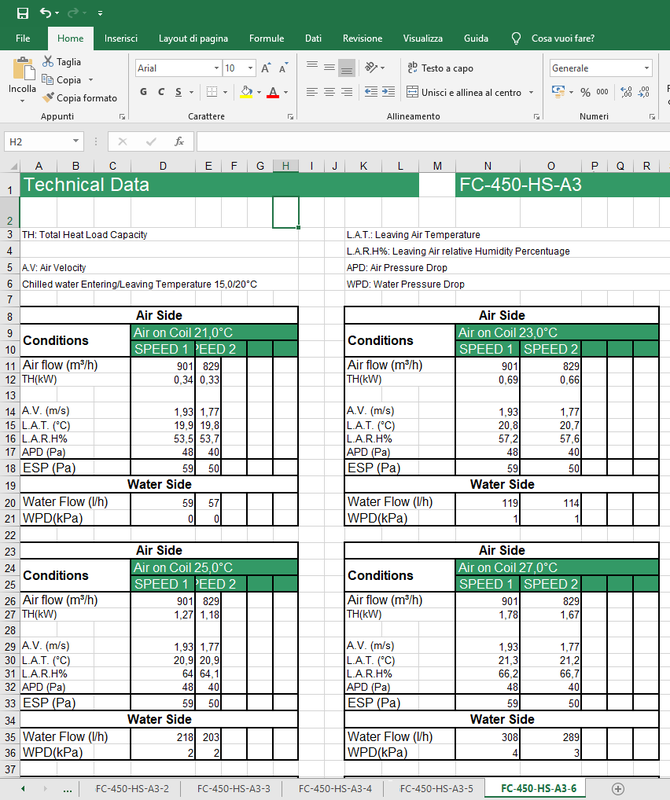 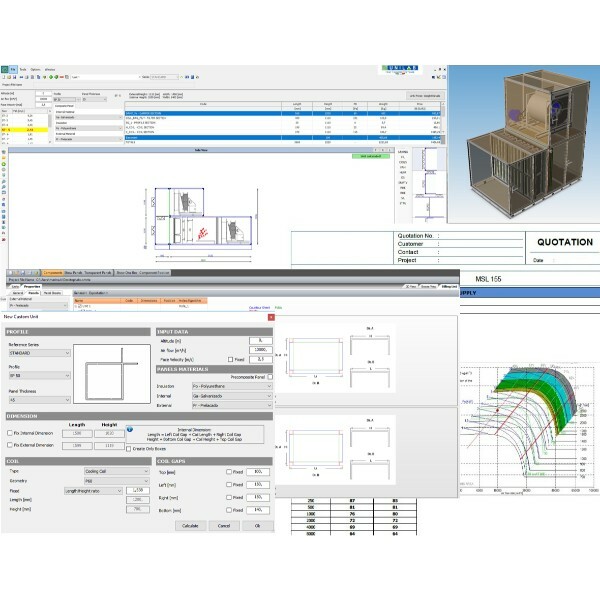 UNILAB FANCOILS SELECTOR is the most accurate software for manufacturers that need to select and estimate fancoil units. 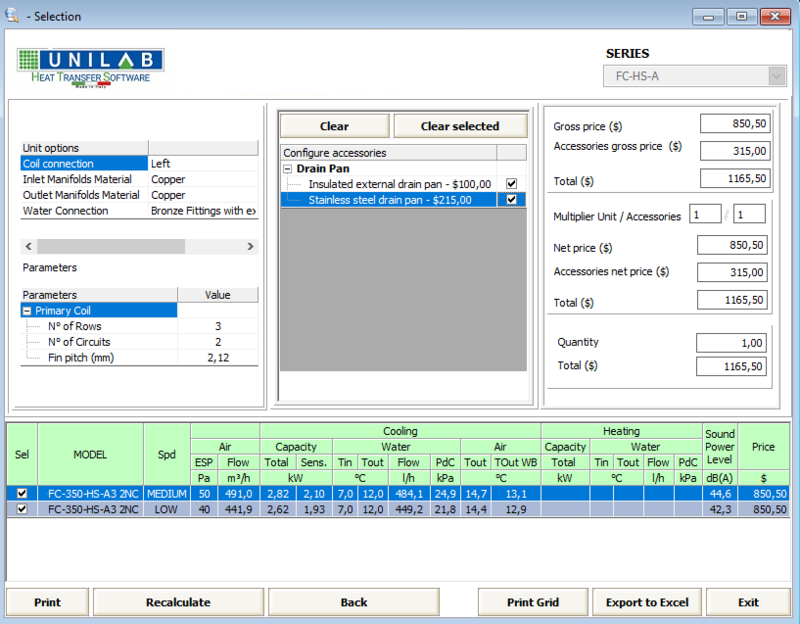 UNILAB FANCOILS SELECTOR also provides the option to calculate a single unit or select it from a range, according to the required capacity. 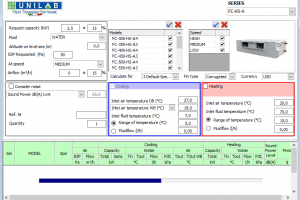 The input parameters are used in a thermodynamic calculation by the engine of our software UNILAB COILS to perform the coils calculation . 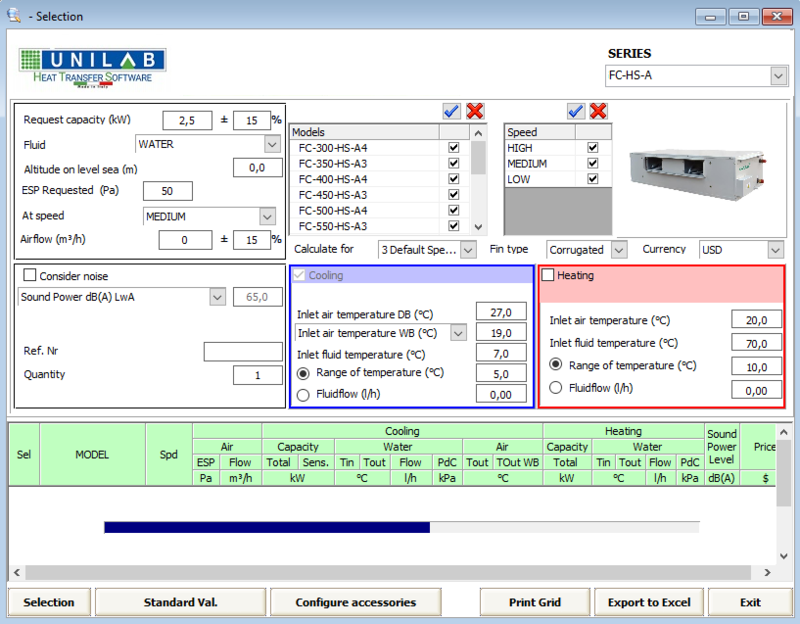 UNILAB FANCOILS SELECTOR allows you to work both in selection and in verify. 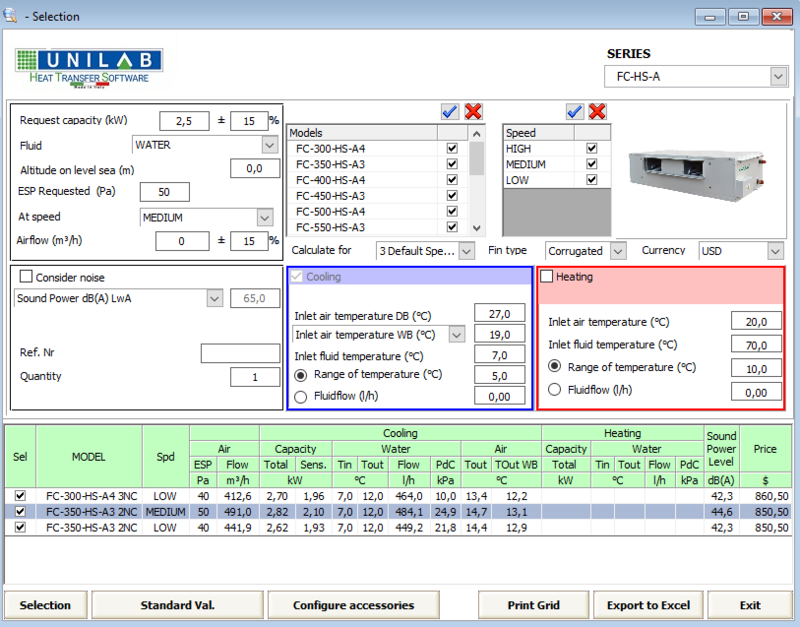 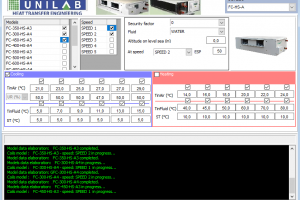 In the selection mode, the user can select a range of units while in verify mode only one single unit may be selected. 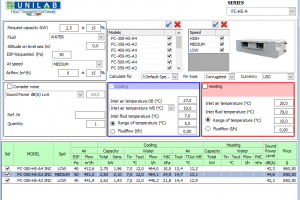 During the calculation, it is possible to force the software to always use the nominal air flow or balance point. 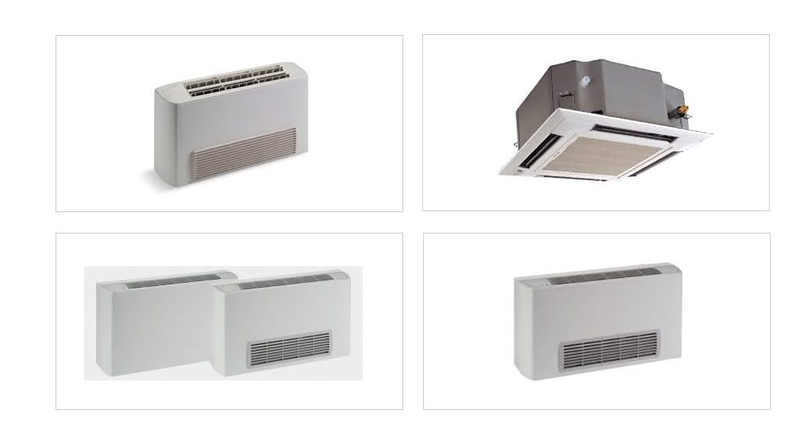 It is possible to calculate the noise from the curve of the fan. 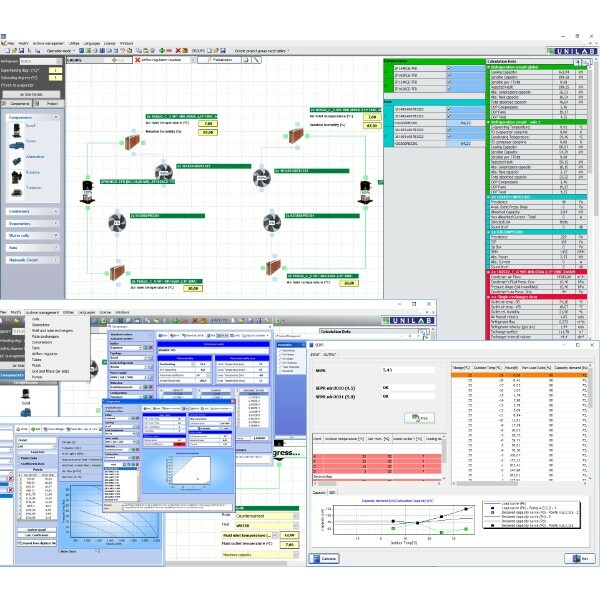 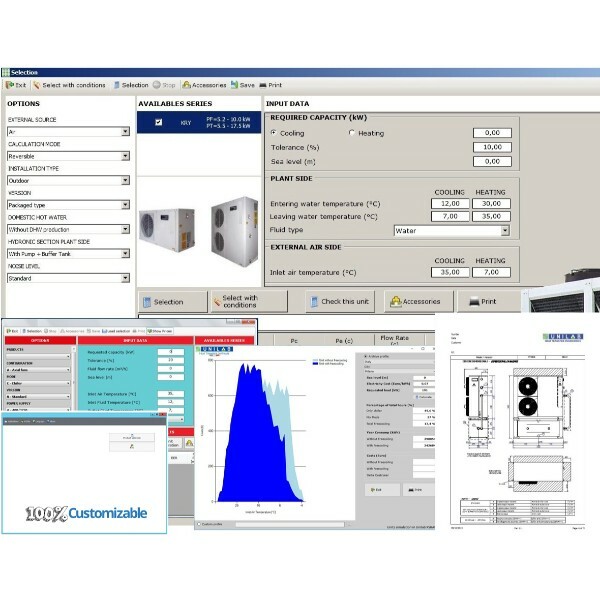 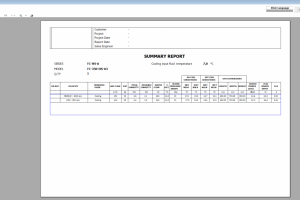 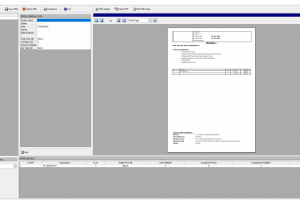 FANCOILS SELECTOR is the UNILAB software suggested for those HVAC companies that need to select and estimate fancoils units. 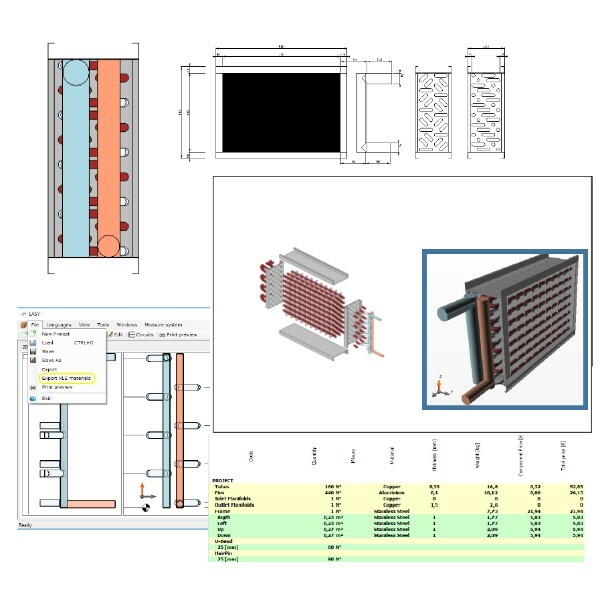 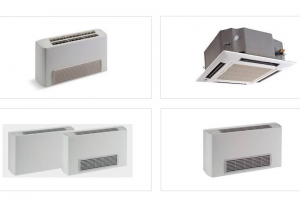 FANCOILS SELECTOR allows you to select the best machines in the following modalities: heating, cooling and direct expansion. 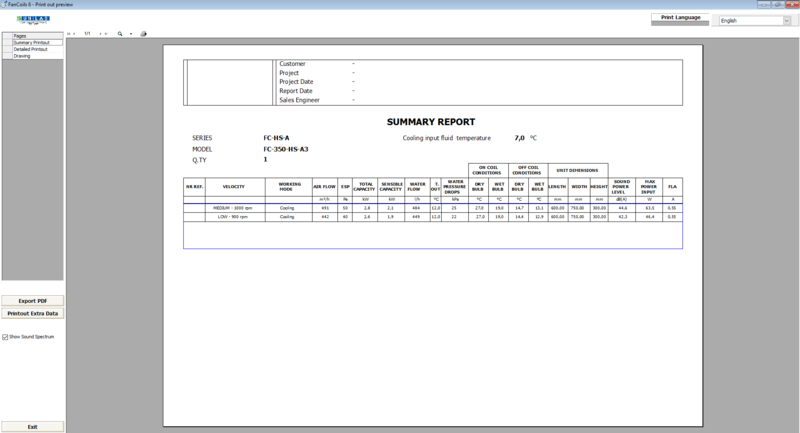 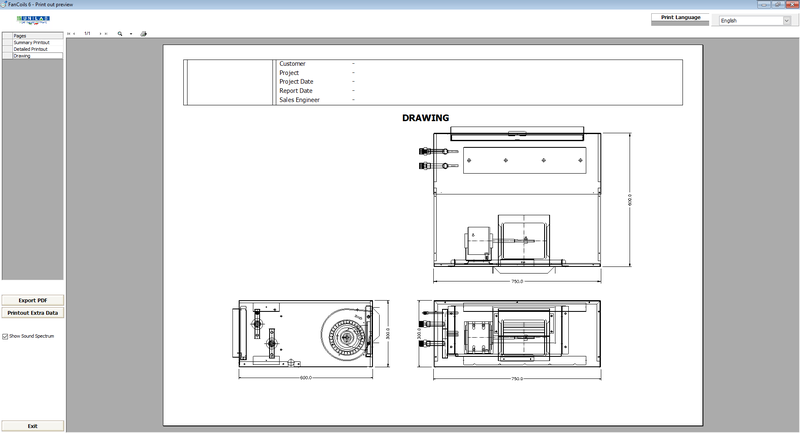 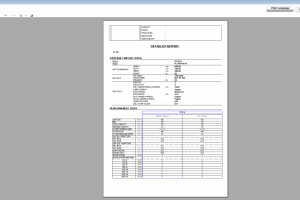 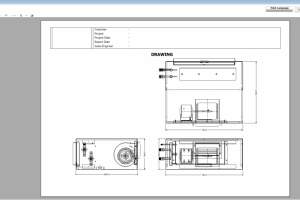 This is done by calculating the fancoils using our extremely accurate COILS software engine. 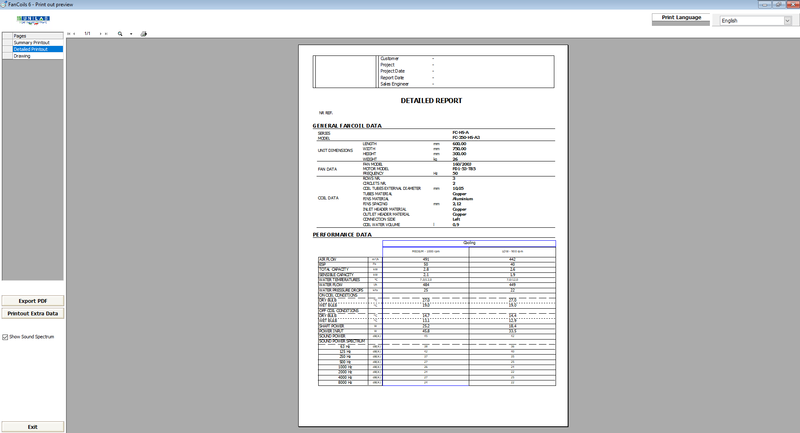 To further enhance the calculation, the software has the facility to calculate the noise from the fan curve as well. 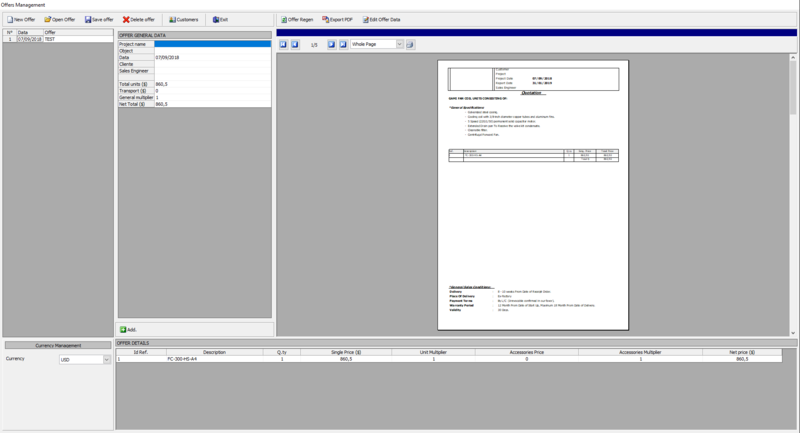 With our easy-to-use interface and external wizard the customer is able to manage the series and the versions, customers, offers and accessories archives.